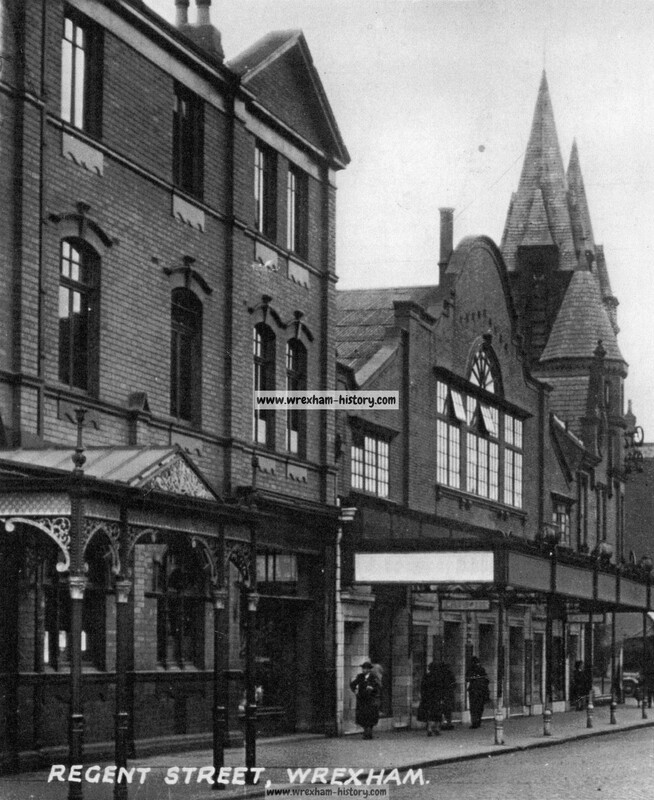 Once located on the corner of Regent Street and King Street work to build the hotel was commenced in 1899 and took two years to complete, it was opened in 1901. 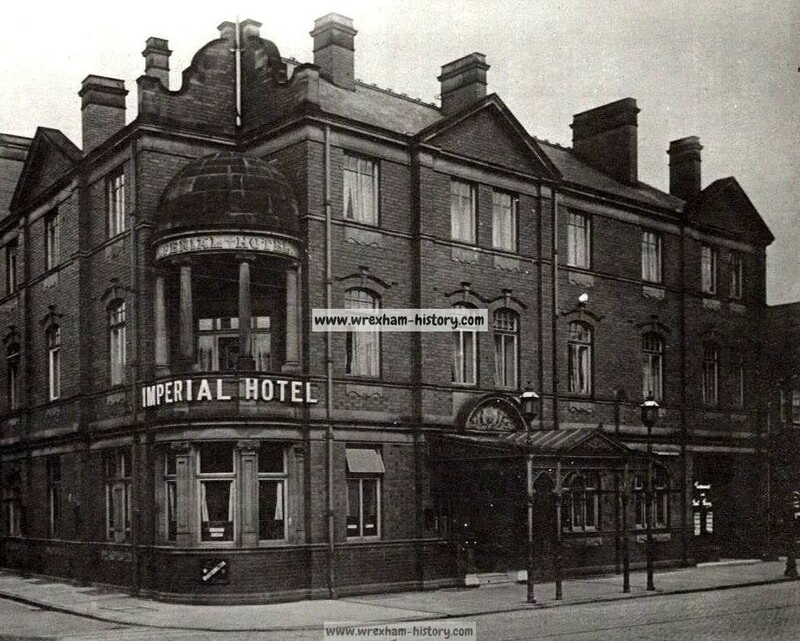 The funding to build the Imperial came from a consortium of Wrexham businessmen, which included Walter Roberts. 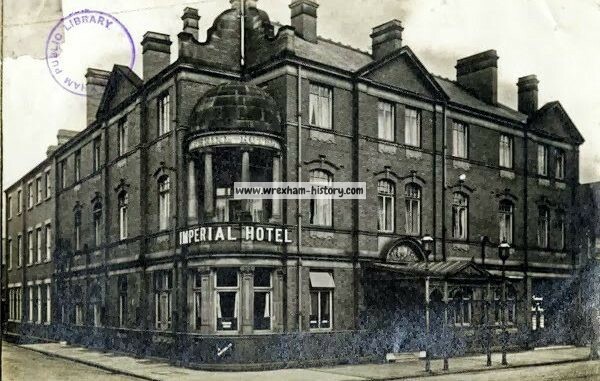 The Imperial was built to compete with the ever-popular Wynnstay Arms as the town’s premier hotel. It boasted its own private bus service to transport guests back and forth from the railway station. Unfortunately, the Imperial was not the great success the consortium had hoped for and was requisitioned in January 1918 for use by the military. 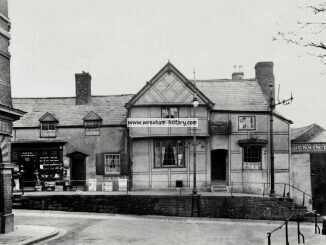 In 1929, Wrexham Rural District Council occupied the building until the creation of Wrexham Maelor Borough Council in 1974 when it was demolished. 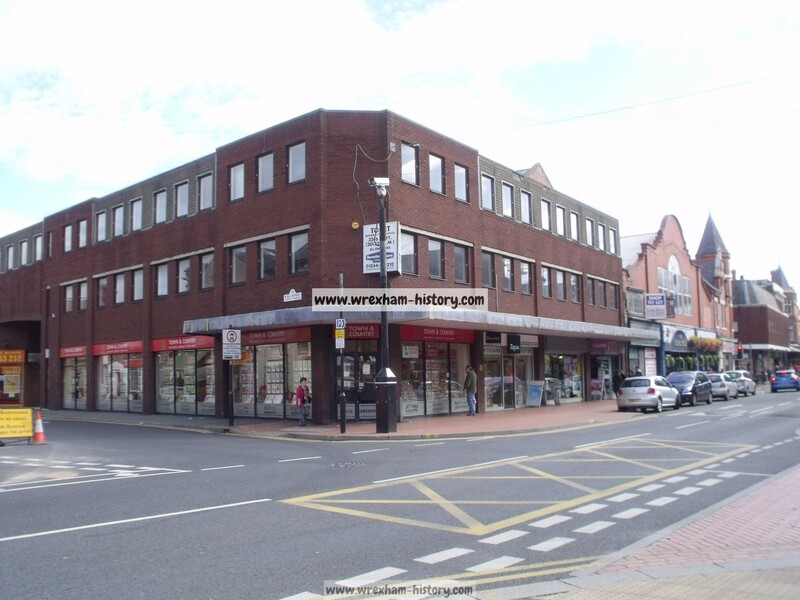 A new building on the site was to house the Department of Employment’s Wrexham office, until they moved to a purpose-built premise on Grosvenor Road. Today the site is occupied by an estate agent. A MAGISTRATE’S PROTEST. 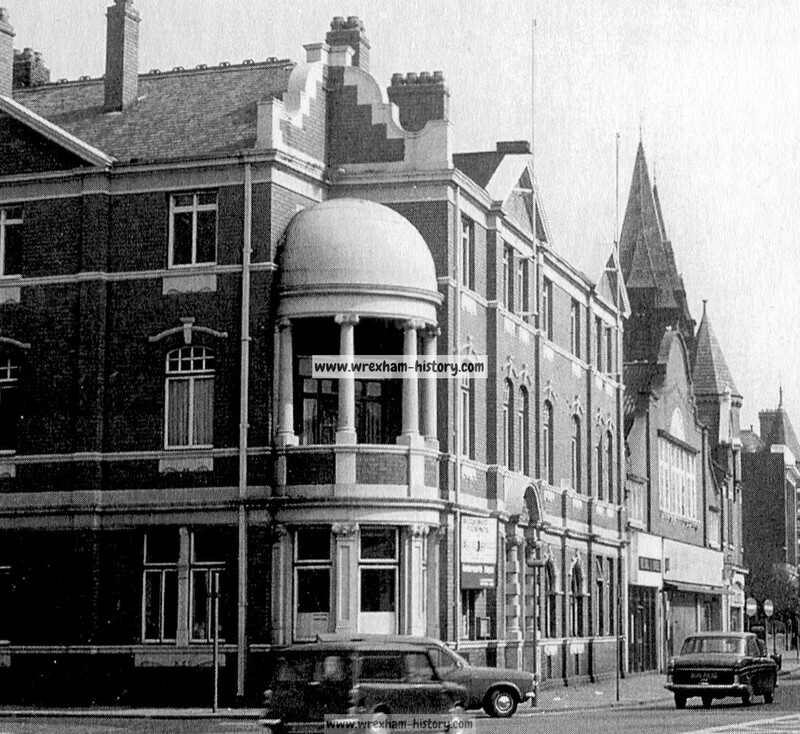 At the Wrexham Borough Court, on Saturday, before Mr. William Thomas (chairman), Mr. J. E. Powell, and Captain Gladstone, Mr. G. Bevan, as nominal licensee of the Imperial Hotel, applied for an extension of time for closing on the 14th (Nov) inst until 3 a.m., the occasion being the annual bachelors’ ball. Mr. Bevan pointed out that this was an invitation dance of a strictly private character, and that the ordinary business of the hotel would cease at eleven o’clock as usual. Mr. William Thomas Why do parties wish for such a long extension? It seems to me that this is turning night into day. (To Mr. Bevan:) You know my opinion upon these matters, and I for one cannot consent to the application. Mr. Bevan, I submit that this is not the place to discuss the moral aspect of the question, but I feel confident that most of the bench will grant the application. Mr. Thomas: Will ladies be present on the occasion? Mr. Bevan, I am afraid that no dance would be very enjoyable without ladies. (Laughter.) The application was granted by a majority, Mr. Thomas still protesting. THEFTS OF PROVENDER. On Monday, at the Wrexham Police Court, two well-known characters named Robert Wynn and William Barton, of Pentrefelin. were charged with having stolen a quantity of hay out of the loft at the Imperial Hotel. The evidence disclosed a most bare-faced theft. The men went to the stables in broad daylight and while the busman was away at the railway station took the hay out of the loft. They placed it on a handcart and wheeled it away and hid it in an outbuilding behind a public-house. The prisoners were sent to Ruthin gaol for a month with hard labour. PRESENTATION. Captain Cyril Jones, who has left the National Service department at the Imperial Hotel, Wrexham, to join his unit, was on Friday presented with, a purse of money by Mr A. E. Evans on behalf of the National Service Representatives of North Wains and it few friends. Reference was made to the good relationships between Captain Jones and his colleagues and to his valuably services. 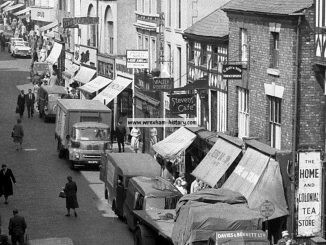 Sources: The Chester Courant and Advertiser for North Wales; Llangollen Advertiser Denbighshire Merionethshire and North Wales Journal; Encyclopaedia of Wrexham. 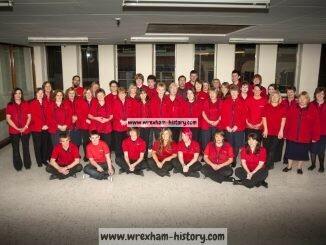 (P179) Alister Williams; Wrexham Public Library.